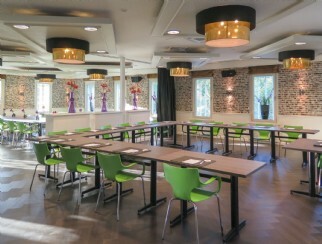 Party Center de Kegel is due to its central location and ample free parking also the ideal location for meetings. We offer multiple rooms of different dimensions, allowing the space always to be in line with the size of the group. 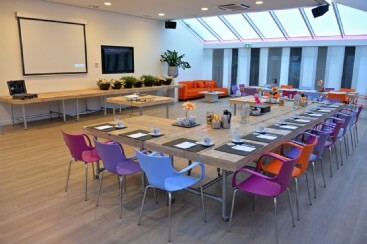 In addition, all meeting rooms are equipped with a beamer and Wi-Fi. When reserving a meeting room, you can let us know what your needs are, so we can (for example) organize a lunch during the meeting or a drink or dinner afterwards. You will find our rooms in 3 different locations on our park: Grand Hotel Amstelveen, Party Center de Kegel and Bistro Nice! These locations are on 1 to 2 minutes walking distance of each other. Of course it is also possible to adjust these packages to your wishes.